As I suspected might happen, I had a ton of condensation droplets on the ceiling of my tent this morning. Oh the fun of tenting in a grassy field. I packed up and got going by 7:45am. 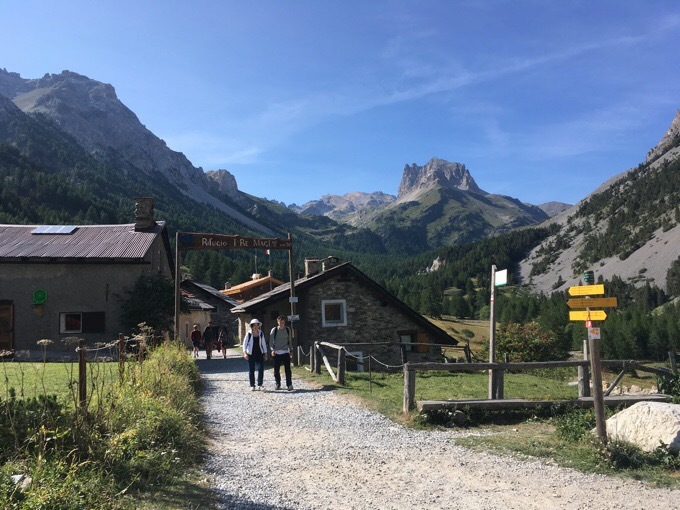 It was about an hour of downhill to the villages of Loutraz and Modane. Modane felt more like a large town than anywhere else I’ve been along the GR5 so far. It wasn’t far to the full sized supermarket. I only needed to get two nights worth of food, but I couldn’t help but get some bonus things for my second breakfast today. 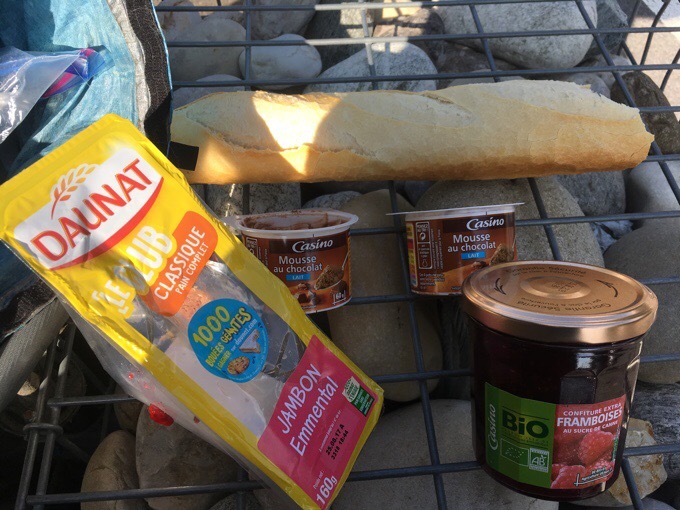 I got a sandwich, fresh warm bread that was soft, some jam to dip the bread in, and my newly routine chocolate mousse cups. It was pretty wonderful. I was in no hurry and sat outside and ate. A bonus break today. I didn’t think to take a picture until I was almost done eating. It was a pretty simple and enjoyable day that wasn’t too eventful. I thankfully have my body back in hiking mood, so the day was really pleasant. 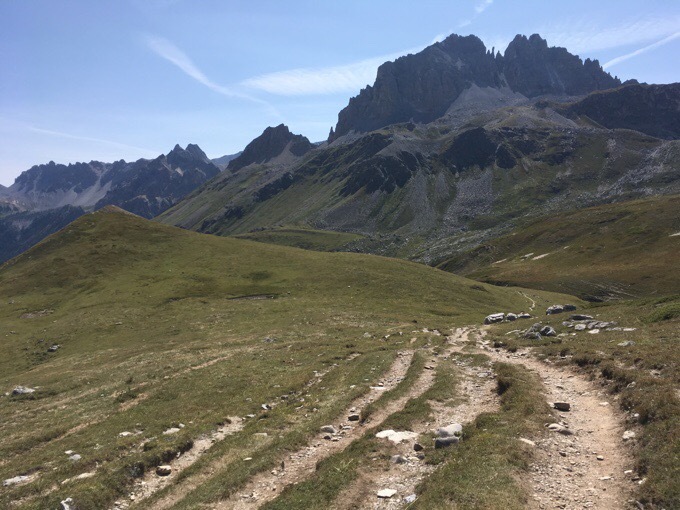 From Modane, it was just a long gradual up for hours to the Col de la Vallée Étroite. 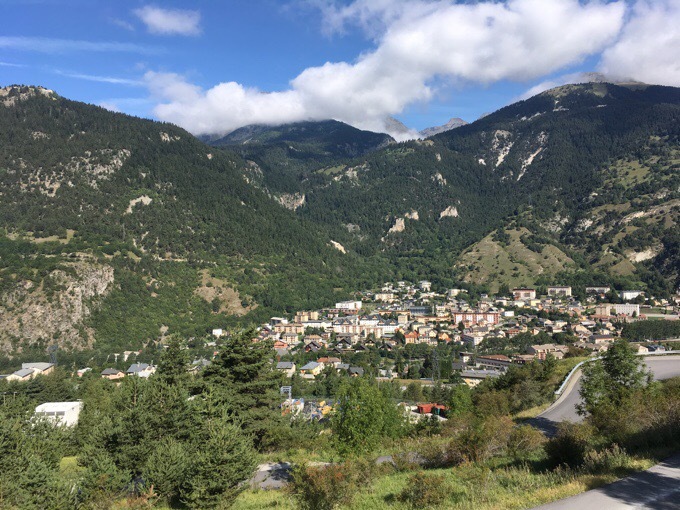 Looking back down on Modane. It varied with paved road, wide dirt and gravel tracks, and trail. In the first hour, there were many religious monuments I guess you’d call them. They must have a name for them. Each one housed some photo or painting or sculpture of religious significance. All of this led to the Sanctuaire Notre Dame du Charmaix. A chapel from 1401 that has a 5th century statue of the Virgin. I know nothing about this stuff, but that’s what the guidebook says. I forgot to get a photo of the outside of the chapel. From there, it was a walk through a ski resort and then past a WWI fort (La Lavoir) with nearby bunkers too. I have to say the juxtaposition of a village, ski resort, chapel, and WWI buildings was odd. 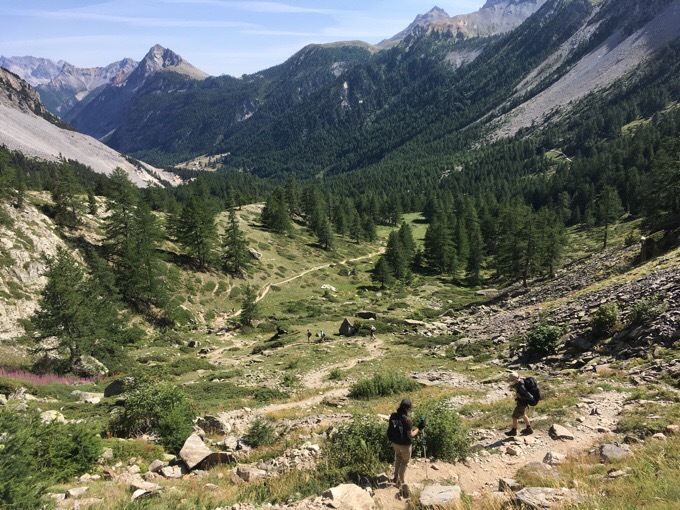 I’ll pass by more historical WWI sites, and it’s pretty crazy to think about what happened where I was now just hiking through. 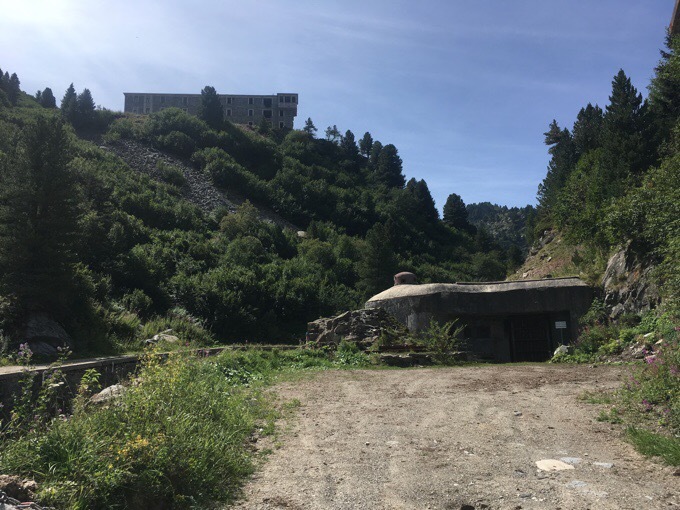 A bunker and La Lavoir fort above. Soldiers were battling out here and I’m sure many died. I’ve gone through other historical battlefields and sites, but the WWI sites feel much more intense and somber. 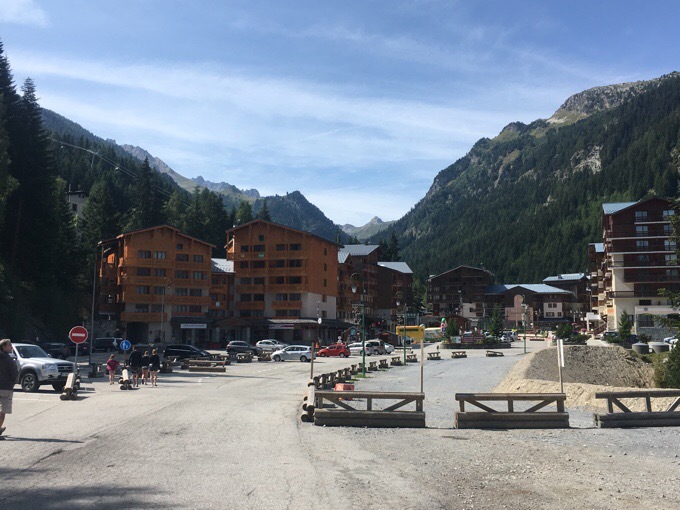 Looking back with La Lavoir on the right and a bunker across it on the left. I had lunch next to one of many small buildings randomly along the way. I dried out the tent over lunch too. On the way up to Col de la Vallée Étroite. 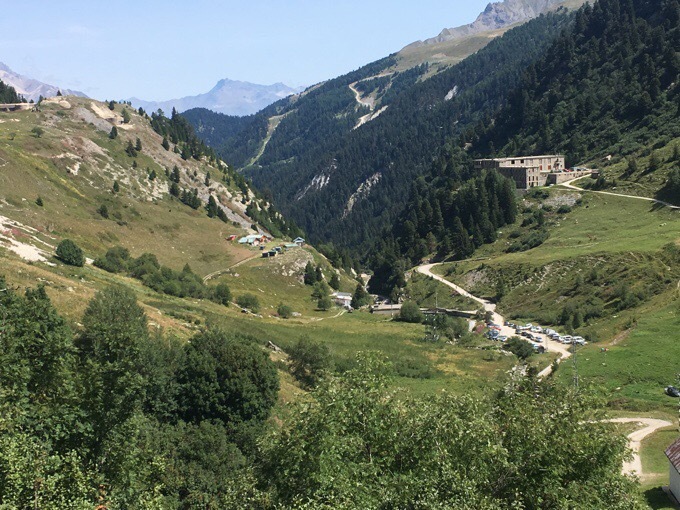 The climb and descent of Col de la Vallée Étroite was relaxed. I really found the valley on the other side pleasant. 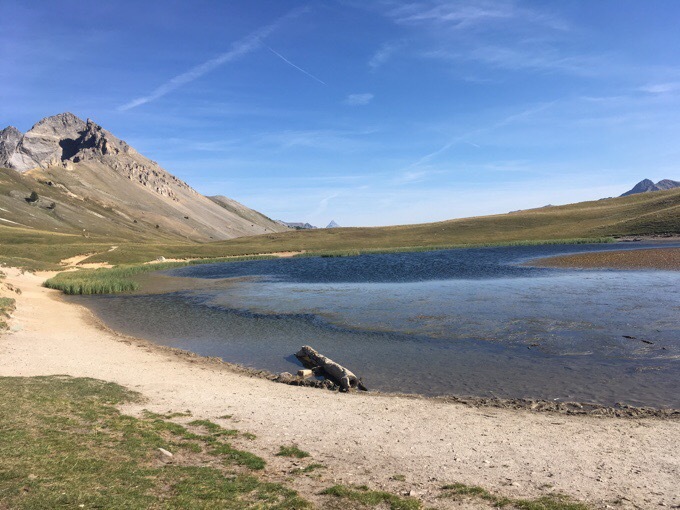 As I got further down, and closer to quite a large refuge and restaurant area (Refuge du Thabor), there were tons of people, and it hit me that I’m really close to the Italy border. Suddenly, the majority of people were speaking Italian. 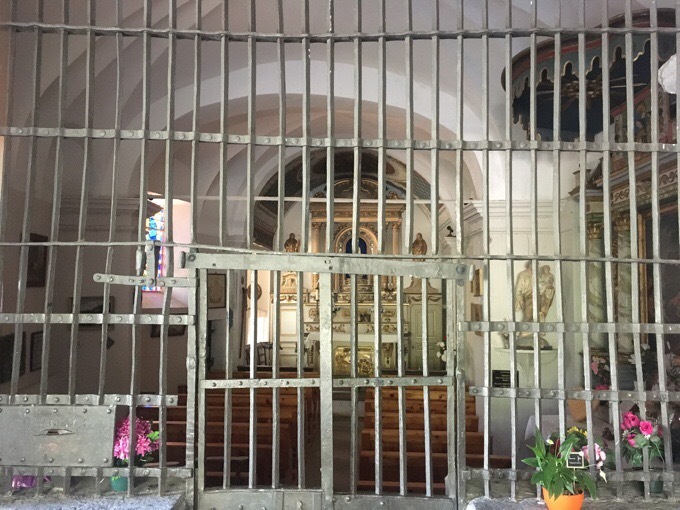 Some said “ciao,” but I couldn’t make out what most of the greetings were. I didn’t study up on the Italian basics! In fact, tomorrow I’ll do a half day high level variant, and I’ll walk into Italy (briefly) for the first time in my life, cool! 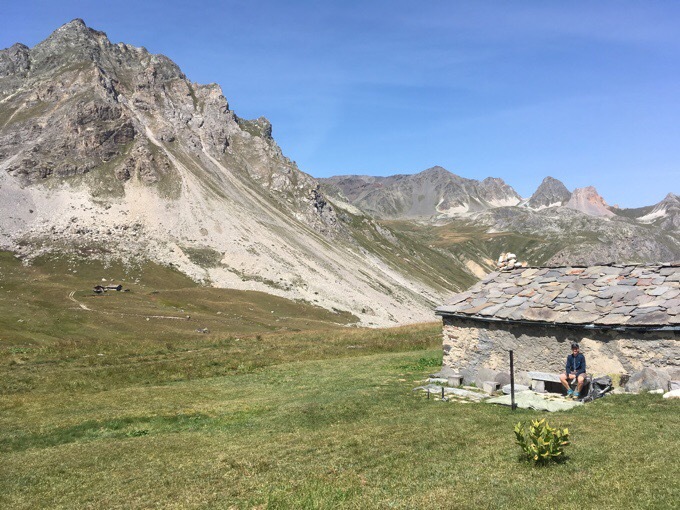 Some of the many buildings at Refuge du Thabor. 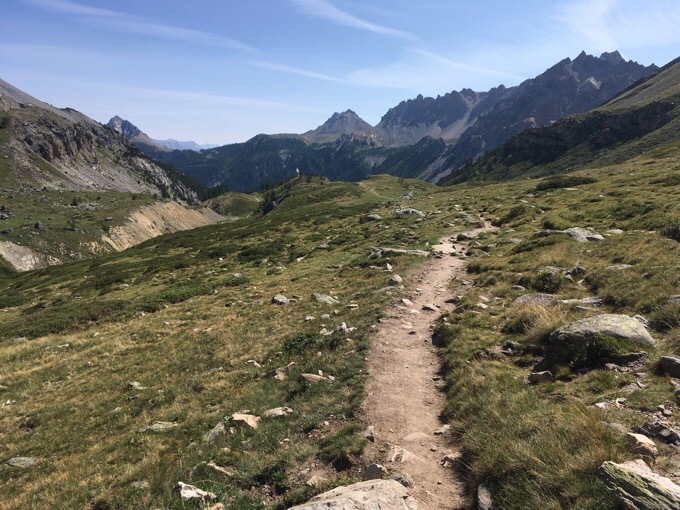 After leaving the Refuge du Thabor area, it was a relatively quick climb up some nice wooded switchbacks to the Col des Thures and Lac Chavillon. 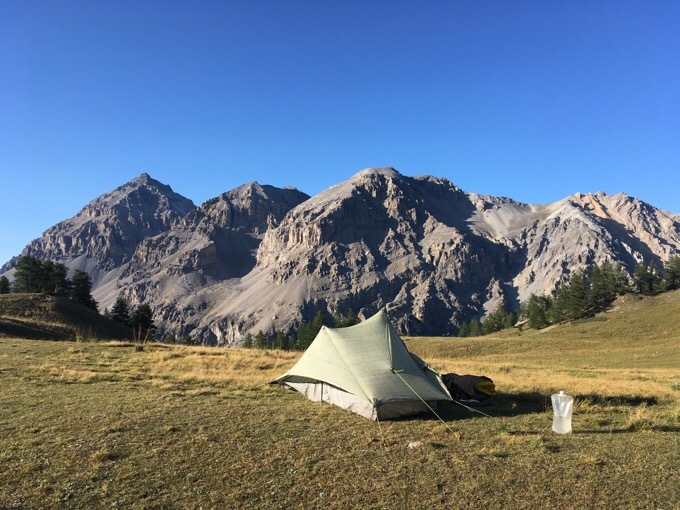 I was aiming to camp up there, and it’s even recommended in an online guidebook of good campsites on the GR5. When I got there, the lake was disappointing compared to the photo in the guide. It was quite low and more like a big puddle, so that other photo of a full blue lake must be from early season or a higher snow year. Either way, it’s still awesome up here! I can’t believe more people aren’t up here on a Sunday night and it’s just an hour hike up from the refuge where many cars were even parked. There’s one tent down lower, but I chose high with no wind at all right now and little expected. It’s so tough to capture the enormity of the views at some of these camp spots I’ve had. 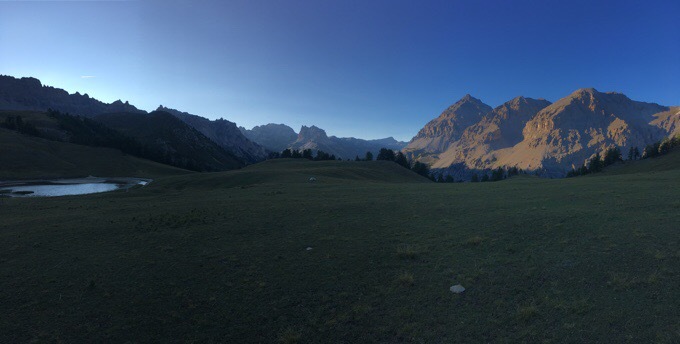 I walked far from the tent and took a panoramic shot to give a better idea. Great spot! My tent is the light dot in the center. Only one worry came at 7pm. 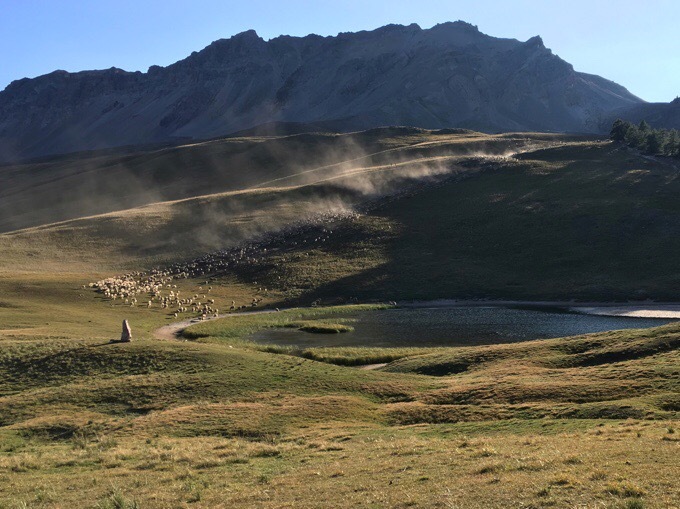 I heard a ton of bells and looked out to see a huge herd of sheep being herded down to the lake. No! A whole night with sheep bells as sheep wander around the tent. I started to prepare to pack up and move. Then, luckily, the herders just kept on going and the whole herd was gone in minutes down the hill I’ll go down tomorrow, whew! That was a close one! It’s so calm and quiet right now I wouldn’t even think I was outside. Just imagining all the people and noise an hour below at the refuge area is crazy. I know many like the refuges, but really, this is what I’m out here for. Funny enough, after saying that, I’m going to mention that I finished watching the Breaking Bad series tonight. Whew! I never thought I’d watch a series with so much killing in it, but for some reason, like for many others, it did pull me in. I just had to know how it ended! I’ll work on The Crown and may try out Better Call Saul, the spin-off to Breaking Bad. It’s been recommended by many, so I need to try it. Also, I have the new NBC series, This Is Us, that I gave up on after two episodes last year. People keep telling me to give it another chance, so I may start that up again. Yep, I’m loving the relaxed pace out here and that I get to watch stuff routinely with ending earlier each day. This is pretty ideal hiking I have to say. Relaxed scenic days that aren’t exhausting. The GR5 is a winner in my book! The word “ciao” (/ˈtʃaʊ/; Italian pronunciation: [ˈtʃaːo]) is an informal salutation in the Italian language that is used for both “hello” and “goodbye” Enjoy your trip in Europe! Thanks! Stupidly, I knew how to spell that and didn’t even realize I’d spelled it wrong. Are the Italians saying “Salve”? We heard that greeting a lot while hiking in the Dolomites. It comes directly from Latin, which makes Matt, the Latin teacher of the Take a Hike Photography duo, very happy. ? Wonderful photos! Yes, we also say “Salve” as informal greeting, the formal mode is “buongiorno” good morning, “buon pomeriggio” good afternoon and “buona sera” good evening, but salve I think is more appropriate in this contest. Oh! It was buona sera I kept hearing! I’ll have to pay attention for that one now that I know what to look for. 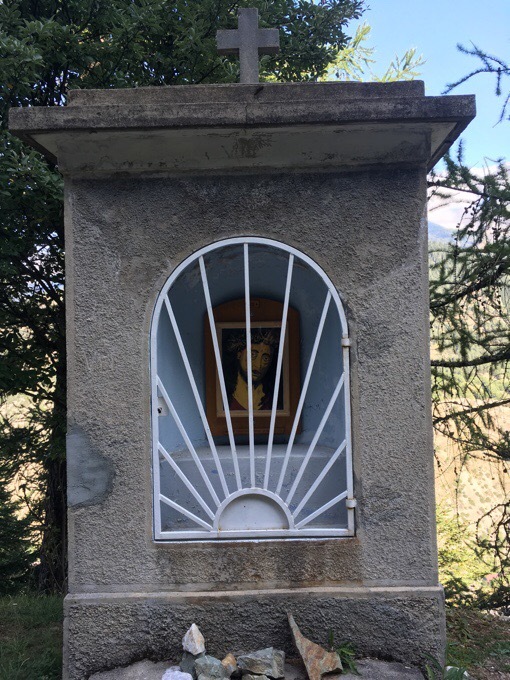 France has literally thousands of tiny shrines, erected by people or families who wanted to make a statement of some sort .. I dare say Italy and the French & Italian parts of Switzerland do too. Before WWI Italy was allied with France, so they built many forts. When the war started, Italy was neutral and then joined France when it was promised Austrian land. That refuge used to be part of Italy and the only road is from Italy. If you take GR5c, take water for 15 miles. There will be less people for the rest of you voyage. I ended up doing the GR5B, which is the Italy one I thought you recommended with the WWI forts. Since I picked that one, I couldn’t do the GR5C. Ah.. I hope you end up getting hooked on This is Us .. I am anticipating the next season. Eclipse day here, not started yet and totally overcast at the moment. ? Haha, nice dog at the back. Hope clouds clear! The french name for these small religious monuments is “oratoire”. 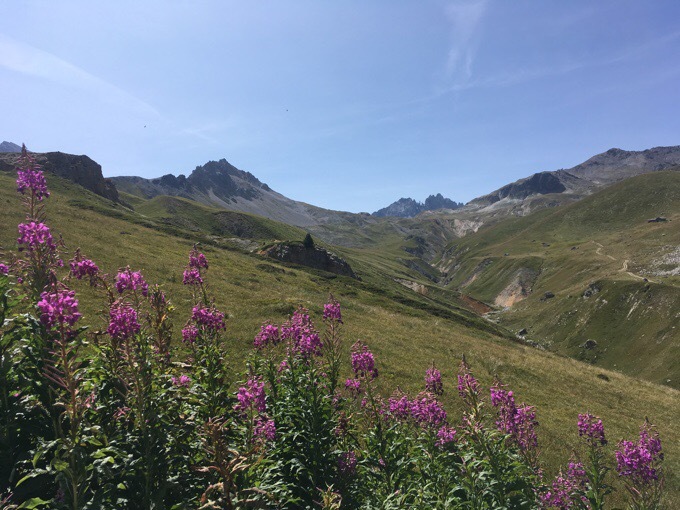 Enjoy these beautiful mountains ! Oh, good to know! I had no idea. Do you have a small lightweight towel to wipe tent condensation with? Can you eat just one pudding cup? Haha. It’s not really in the Euro culture to wild camp when there are refuges available. I personally don’t blame you at all for camping. Those refuges are not relaxing experiences at all. I have noticed few even carry a tent, but I have made sure all I’ve done doesn’t break any rules. Very well written, Wired. What an adventure!